He started his career at Walt Disney Studios and was later Art Director for Montgomery Ward. He became a freelancer for men’s fashion clients, including Van Heusen and MacGregor. Also a painter and etcher, he was the father of Westport graphic designer and artist Miggs Burroughs. 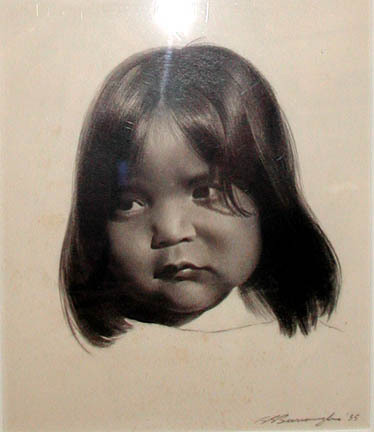 Burroughs, Bernie, “Child Portrait,” Westport Public Schools Digital Collections, accessed April 25, 2019, https://collections.westportps.org/items/show/518.